This is the Bristol, built by Joseph Douglas Homes and Remodeling LLC. It won EIGHT awards at the Parade of Homes (2018). The biggest award was The People’s Choice Award. This is won by receiving the most votes from people who have visited this year’s Parade of Homes. Why are we, at designXchange so excited that this Joseph Douglas Home won? It’s because we staged and furnished this home! We have worked with Joseph Douglas Homes for years and love working with them and the homes they build! See this living room below? Yup, it was furnished and staged by Katie Guindon, owner of designXchange. 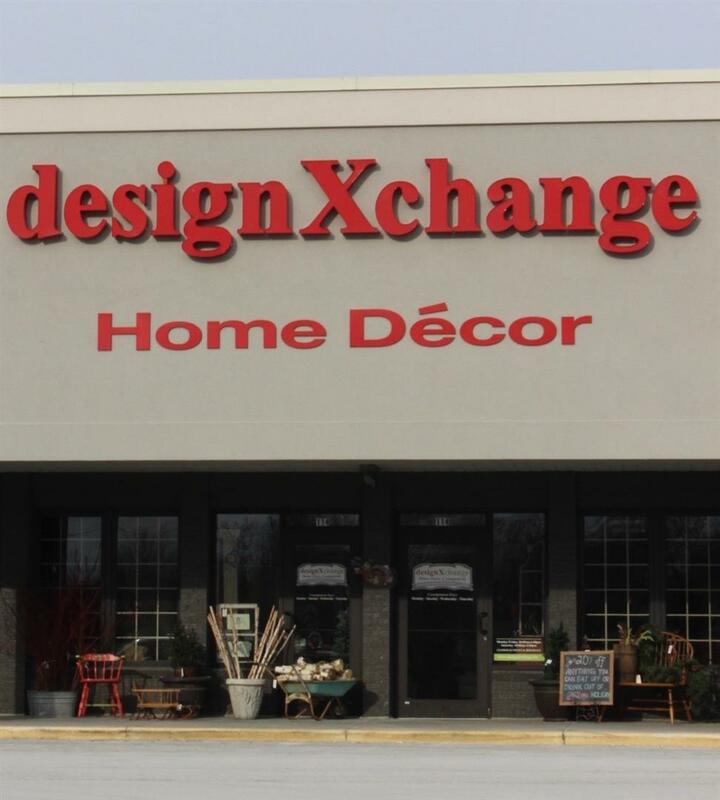 Most of the furnishings and decor used to stage the two Parade of Homes came from one of the two designXchange stores. Our consignment inventory is beautiful right now. You’ll have to come to take a look at what we have in our two stores (Hartland and Pewaukee)! Best Overall Home – Silver – Joseph Douglas Homes & Remodeling LLC – The Bristol. This home really deserved to win these awards! We gave you a sneak peek at the staging before the Parade of Homes opened. Take a look here at that article. Yes, this year designXchange decorated two homes. It was a ton of hard work by both Katie (owner of designXchange) and Liz, one of the Hartland store’s interior designers and very knowledgeable salesperson. If you didn’t get a chance to see this house at the Parade of Homes, here are a few pictures from just before the Parade. A different view of the living room. I know why the kitchen won! There was a second working kitchen behind the main kitchen. This secondary kitchen is where all the work is done when guests come over. Wouldn’t you love to have a kitchen tucked away out of sight? Especially one this gorgeous? A place to prep and store your gourmet goodies until needed. Who are we kidding? If you have a second kitchen like this, it’s probably the caterer who is doing the prepping out of sight! This isn’t even the main kitchen!! This house is gorgeous! And, the guests who toured the Parade of Homes awarded it the People’s Choice award. This home is still open to the public. The link for the house and directions can be found on the Joseph Douglas website.